Home / Busola Coutts / Dresses / Dresshop / Fashion / Fashion Blogger / H&M / Holiday Party Outfit / The Fashion Stir fry / Very / Wedding / WINTER WEDDING....ANYONE? While holiday parties and events keep rolling in, some of us may be planning for the holidays but some have weddings to plan. You might probably be wondering, "Who gets married in winter?" Hey, it is summer somewhere. If everyone had to get married in summer, imagine how many bridezillas the world will have to deal with in one very hot weather season. Hahaha. Does anyone still watch that show called, "Bridezillas"? My favorite bride show on TV is actually "Say Yes To The Dress" on TLC. I love dresses but a wedding dress is another story. It is a project on its own and it has got to be perfect. I always want to see a bride's dress at a wedding just because it is one thing everyone looks forward too but how many people get excited about seeing what the bride's mom is wearing? Hardly, right? Well imagine how cool i thought it was when i discovered Dresshop, an online store that develops, designs, produces, wedding dresses, bridesmaid dresses and more also does that too. Not to worry party people and fun loving dolls, they have some "out of this world" dresses for cocktails, date nights and all kinds of parties to last you till the New Year and after. I am sharing a few photos which i call a real big tease compared to the tons of gorgeous dresses i have seen while browsing their site. But be warned, when you visit Dresshop, prepare yourself to be swept off your Cinderella feet. Something for the cutie patooties too. Hmm...a slight distraction is this beauty from Very, another cool site that is making waves online and also on TV with their fashion pieces. Thank you all for reading. Now your thoughts. 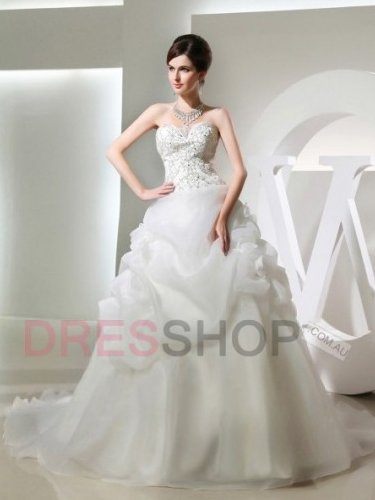 This selection its outstanding for wedding good picks on your part love the wedding dress. Have a great weekend my friend. Tks for visiting my blog and tks to Lenya! I already found my wedding dress - I wonder what my mother will wear! I am stunned and I love the little girl's dress. Well... if I'm choosing between summer and winter, or between a hot or a cold destination, the hot summer days would definitely win over the freezing winter months for such an event. I know I know I am weird. But I am, so, not into those wedding dresses thingy. But I looooove those heels, they are fab!!!! Sorry forgot to answer your question Busola. Nope those tights are not of silk, it's one of those new materials which looks like silk, feels like silk. Can't remember the name of the fabric, sorry. They are pretty dresses. Thanks for stopping by Jackie. I knew some have winter weddings to attend. That is so cool. Hope you have a blast there. Hello darling! Your post makes me all nostalgic (I got married past summer)! I love the yellow dress, so gorgeous! Have a beautiful weekend Busola. I love those shows too, so fun, these are such beautiful dresses. Have a splendid weekend dear! So true! Thank you so much. Thank you Pooja. The shoes are so pretty. My pleasure. I am glad i did. You were in an all vintage outfit? Awesome! Aww, congrats on your engagement and i wish you lots of happiness. I know, love little girls on bridal trains. Wow, really? They look like silk. They are gorgeous! Thank you and you are so not weird Lenya :))). Some people are just not all about the wedding thingy and it is okay :)). You are so cute.